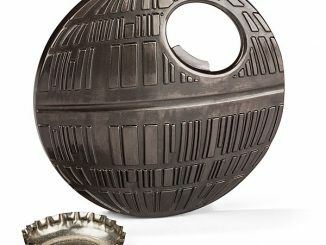 Hopefully by now you’ve got a good idea of what to get your dad for Father’s Day. 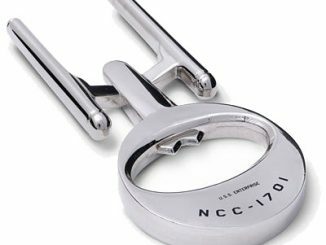 But if not, you can never go wrong with giving him a nice bottle opener. 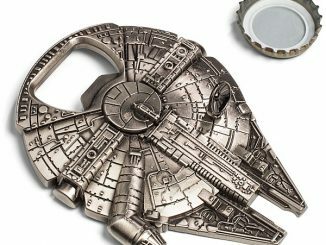 GeekAlerts has no shortage of unique bottle openers to show you, from Star Wars Death Star ones to lightsabers, to police badges, to Thor’s hammer, to knuckle dusters. If you can’t find the perfect one here, then there’s not much more we can do for ya. 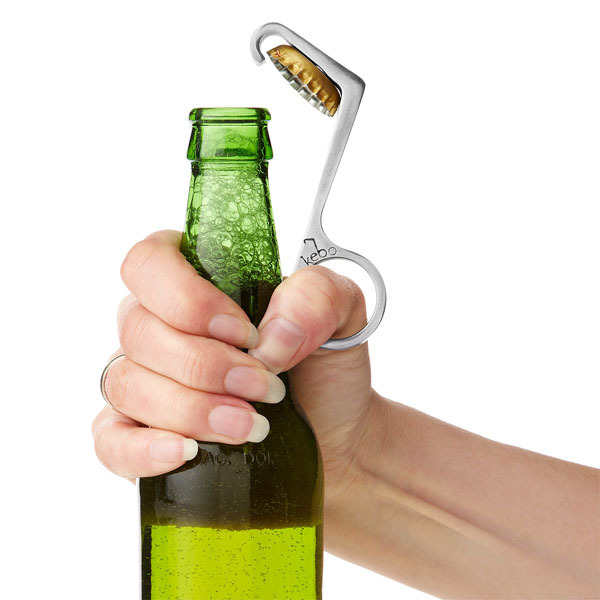 Here’s one more classy bottle-opening gadget to add to our lengthy lineup: the One-Handed Bottle Opener. Let’s see if all those years of thumb war battling are finally going to pay off. 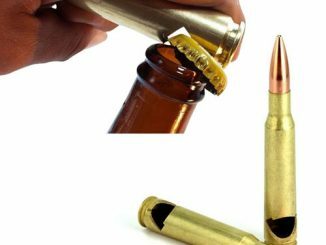 This bottle opener is easy to use. 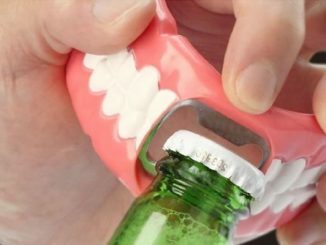 Simply position the tooth over the bottlecap, stick your thumb in the loop, and squeeze. 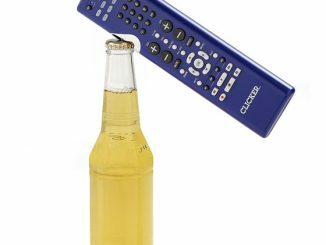 The opener has a magnetic fulcrum that the bottlecap will stick to, thus increasing the chances of it going in the garbage rather than being stepped on. Nah, let’s not raise expectations too high now. Charleston architect Rush Dixon’s innovative throwback lets any host handle the drinks and entertainment with just one hand. Inspired by the long-forgotten Theodore Low bottle opener from the 1930s, Rush’s one-handed marvel references the old while meeting the demands of the modern entertainer. With the squeeze of its thumbhole trigger, this seamlessly designed device pries tops and catches detached caps with the help of an ingenious magnetic fulcrum. 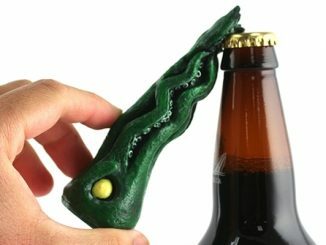 Imagine what the other free hand can do when only one hand is required to open beer. 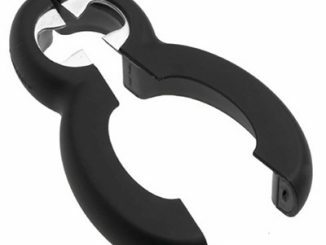 It could flip burgers, carry a baby, answer a phone, surf the net, operate a remote control…this bottle opener aims to make its beholder efficient and downright cool. 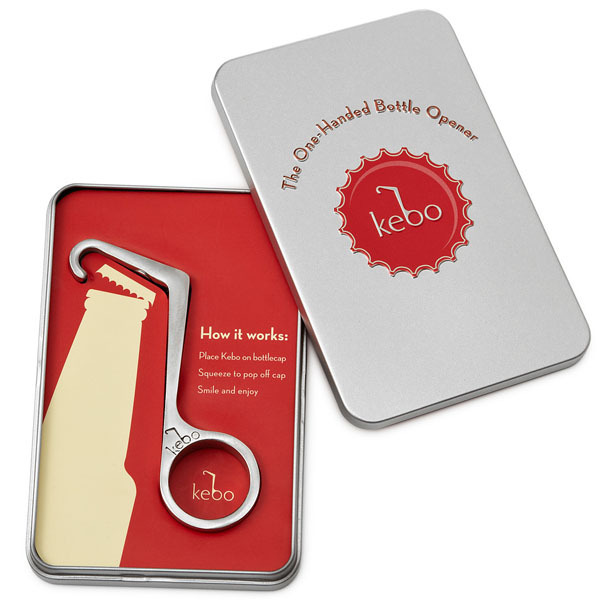 The “Kebo” opener, as it’s called, is meant to be a gift as it comes packaged in a sleek tin with red accents. 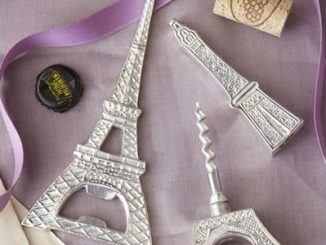 At $24.95 from Uncommon Goods, the One-Handed Bottle Opener is not something someone would buy for themselves, which makes it a wonderful gift. 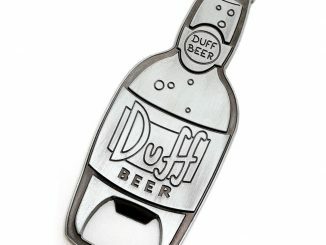 Cool, This is the first time I see this design of bottle opener. 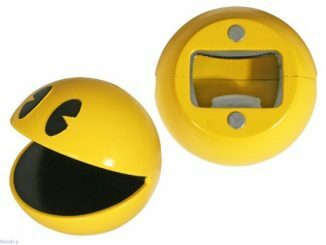 I want to have one! It looks easy to use.